So, I am writing this review in Scrivener, which is fitting. I haven’t used Scrivener in years, as I have chosen to move on to a minimalist editor named Ulysses. I never used more than the basic features of Scrivener (in particular, the Binder and Compile features are Scrivener’s primary strengths, in my opinion), and its lack of an iOS version made the choice of transition easier. When Scrivener Superpowers came to my attention, it seemed like a fine time to revisit the tool, and see what M.G. Herron has to say. 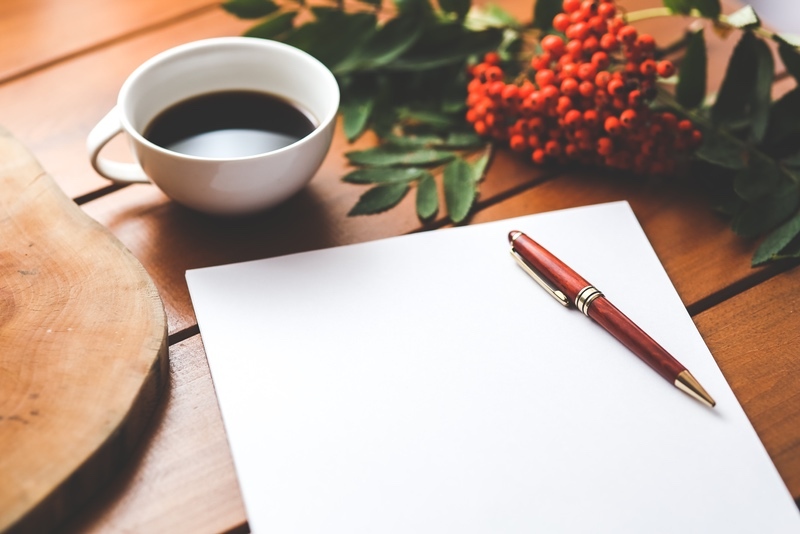 Writing is a journey, and finding the right writing tool is part of that. Is Scrivener the right tool for you? That is a question that you will have to answer for yourself. Download a demo of the software. Open it up. Go through the interactive tutorial. Write something. And then read Scrivener Superpowers. Herron will hold your hand through this part of the journey. You’ll meet friends along the way, and they will tell you of their trials and tribulations. You get to read a half-dozen stories of their heroic journeys. Even better, there is a link to interviews with each author, so you can see and hear them express their love of Scrivener. Herron then walks you through the pertinent parts of the user interface. Given the depth of Scrivener, this is a real boon. You get a no-nonsense tour of what you need to know. Screenshots are included, and they will help you find your way. He then dives into advice on how to structure your story. This is where Scrivener Superpowers shines. He breaks down the sections that you will pour your words, scenes, characters, settings and research into. This is serious information for writers that will take their writing seriously. There is even a link to his template, which you can download and use in Scrivener. For the aspiring student, the template is worth more than the price of the book. Storyboards, drafts and targets are covered next. These are followed up by meta-data, revisions and compiling. There is just enough substance here to keep you informed, but not so much that you get lost in technical details. Herron closes with tips for pros and additional resources. Although brief, they are valuable. 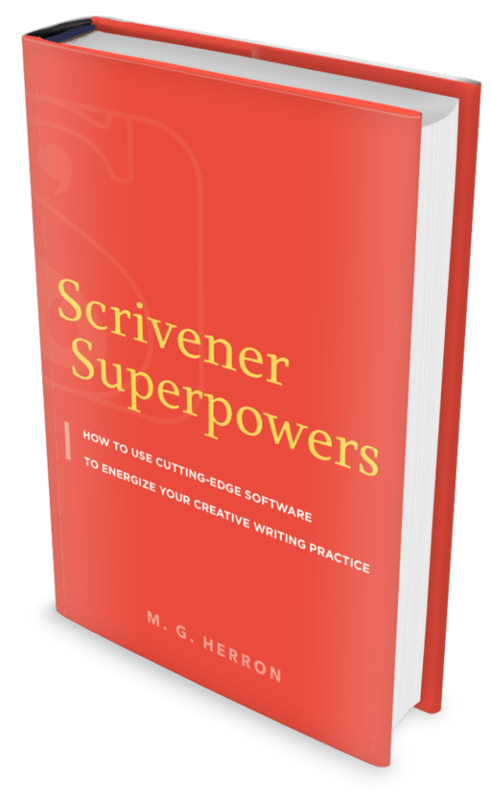 Scrivener Superpowers is a fine book to read as you explore Scrivener. It will help you, it will move you into action and, at times, it will inspire you. If you have an interest in Scrivener, Herron’s book is well worth your attention. Here is a method for writing right, made into a rite. Schedule a time to write every day. Make the time short, so that it is easy to commit to. For me, fifteen minutes is good. Then, at that time, sit down and write. If you don't know what to write, think about what you want to write. If you know what you want to write, think about what you want to say. If the words don't come, simply sit and stare at the blank page. For every one of those scheduled minutes. When the words come, write them. Don't edit. Don't correct. Just pour them onto the page. You can always go back and edit them before you hit the publish button. And in today's digital age, you can even fix errors post-publication. The idea is to get comfortable with writing at a regular time. Get comfortable with that glaringly white page. Make the practice into a rite to help you write right. Way back in the day, I created my first CMS (Content Management System) type of website. This was in the mid-nineties, so it was before CMS types of websites were even an idea. It was driven by a forum, which fed posts onto the front page. I used the forum as a personal blog, making posts into sub-forums as a way to categorize content. In the early 2000's, I moved to WordPress. The old site languished, but I kept it running. I wasn't sure why at the time, but it felt like the right thing to do. Recently, the site's server upgraded PHP and MySQL, which finally broke the site. Nothing but errors if you tried to visit it. So I faced a undesirable decision: troubleshoot an antique, or completely retire it. I let it sit. After all, no one complained. No one missed it. Why invest time into it? Well, last night, I invested time into it. And I couldn't be happier. It is like reconnecting with an old friend. Or more precisely, finding an old diary and dusting it off. It isn't perfect. The front page no longer pulls content from the forum. I had to correct a few graphical issues. And I had to remove and/or clean up a lot of code to get the forum back up. But it is back. And it is a hell of a lot of fun to look at content that I created way back when. There probably are a few issues here and there. And I don't know if I will ever add new content to the site. But just knowing that it is alive again is oh so satisfying. And I still get a kick out of the pair of “eyes” that follows your cursor around on the main page. It is fun to see them chase and watch your actions. 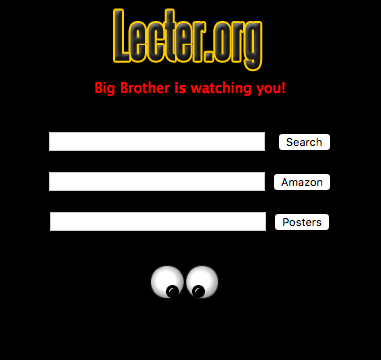 Big Brother is watching you! If you want to take a look at it, the main page is here. And the forum is here. Just keep in mind that it has been years since new content was added. If nothing else, it inspired me to write this post, so the creative spark is alive and well.